The Modesty Walk: Fave Pinterest Finds! I think this is simple outfit, but at the same time it’s not! If you see, what I see. LOL. Love that skirt. This skirt is so cute! 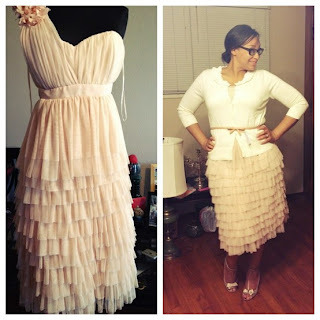 This blogger, turned her dress into a skirt. 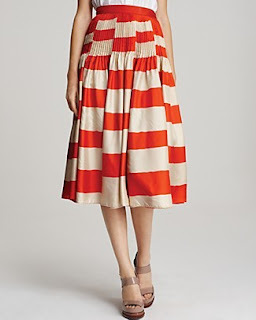 Personally I love that dress, but a skirt can be worn much more, you get more use out of it. I really wish I had this skirt with all those colours. 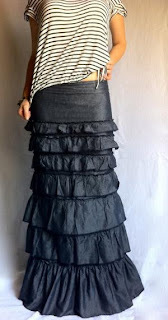 I’ve made it a goal to make this skirt one day! It will be hard, but I can do it!! If you know me, I’m a ruffles kind of girl. I truly love this skirt. Another goal to make!! And last but not least! 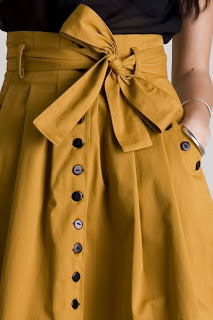 Isnt’ this skirt so cute! Love everything about it. Want! Now go out, buy some fabric, find a seamstress or make something yourself. Alternatively, shop online for similar products. Or even more alternatively, shop your own closet for similar things you forgot you even had! I love it!!! :D especially the orange skirt & the transformed dress! !